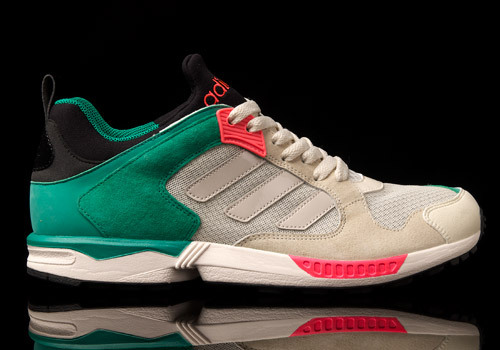 An incredibly ballsy upgrade from the typical ZX 5000, adidas’ RSPN version of the model bares distinguishing changes that could lead to a more comfortable trainer overall. 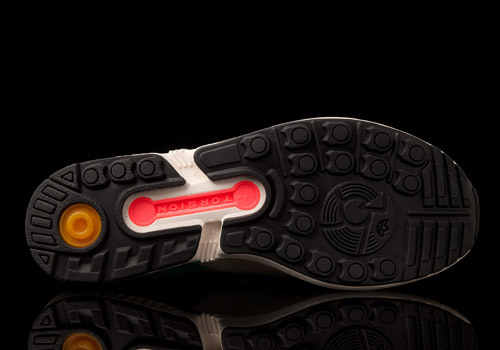 For those that aren’t immediately familiar with the tech’d out running shoe, a typical ZX 5000 is made unique by its plastic heel brace that completes a look of futuristic stability. 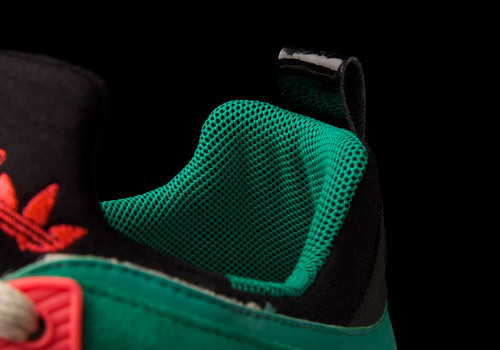 The 1990s Response (or RSPN) version of the ZX 5000 didn’t feature this bit of work, and instead provides the wearer with a sock-like interior, narrower ankle collar that extends into the heel, and a pull tab for easy wear. 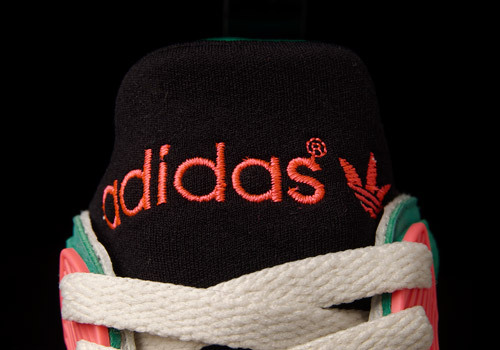 Other minor changes can be spotted upon closer inspection, such as the style of the side stripes, shaping of the toe box, and upper eyelet construction. 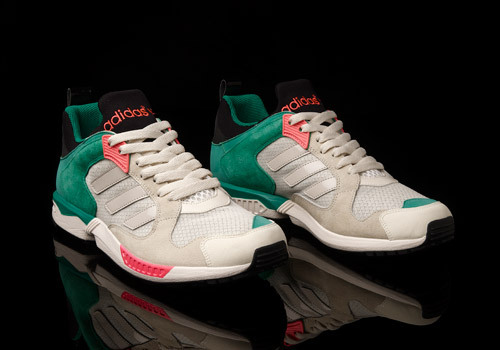 So while it’s called a ZX 5000 and is certainly closely related, don’t be fooled into thinking it’s the same shoe by any means. 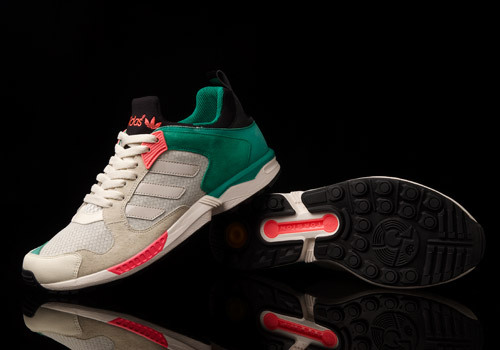 This isn’t the first time the ZX 5000 Response has resurfaced, and in fact adidas Originals have been slamming the running shoe shelves pretty hard with their recent “Run Thru Time” pack, marketed by the slightly cryptic series of numbers “80/90/00″, which featured retro comebacks from the ’80s, ’90s, and 2000s. 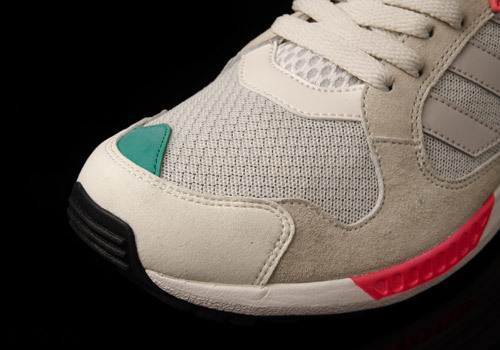 These ZX 5000 RSPN’s were a part of that release and since then we’ve seen a wide variety of colorways and styles for sale, but none as memorable as this wildly colored pair here. With a more alternative attempt at personality, the shoe certainly caters to a bolder crowd, with its rich and risky color blocking and generally loud attitude. 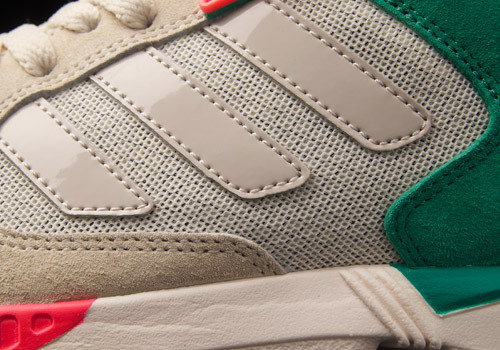 Anyone out there got enough flare to rock a pair of these hot ZX 5000′s once they release in 2014?